Studies show kissing helps reduce blood pressure, lessens cramps and headaches, fights cavities, boosts self esteem. Make sure your lips are kissable with Kisstixx, a lip balm made with kissing in mind. 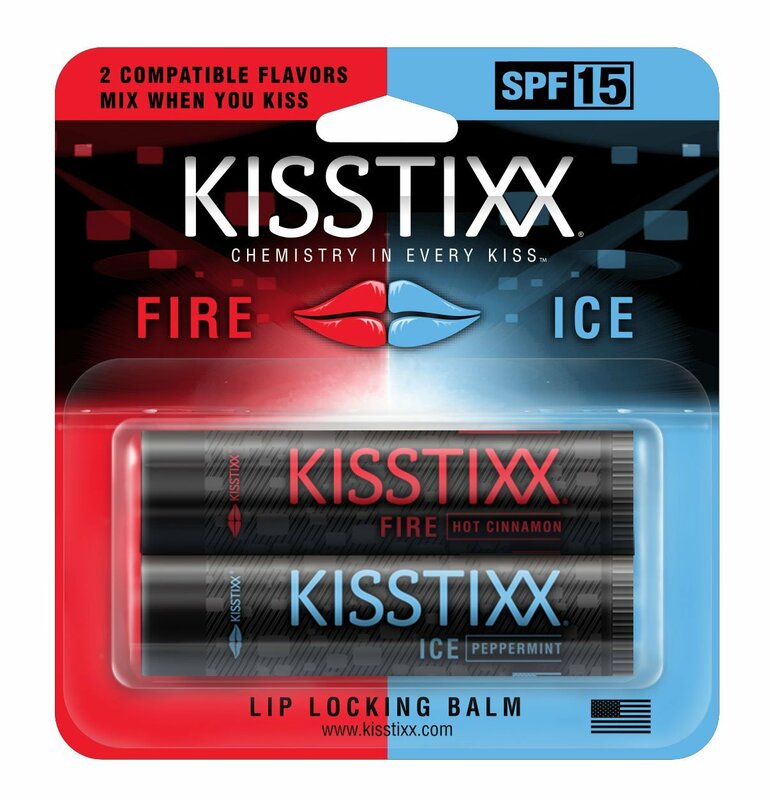 Kisstixx is a high-quality lip balm that comes packaged in two compatible flavors – one for you and one for your partner. When you kiss, the amazing flavors combine creating a chemistry that’s bursting with flavors and aromas. There are several delicious combinations available including Strawberry Daiquiri and Piña Colada, so when you kiss you get Miami Vice. Try Peaches and Cream, Raspberry Lemonade, and the best-seller Fire and Ice – one heats up and the other cools down creating a fun tingling sensation that you will never forget.